TEL AVIV,ISRAEL, Some 300,000 Israeli citizens flooded the streets in the capital of the Jewish state, on Saturday (08/06/2011) evening, to protest the increasingly high cost of living. 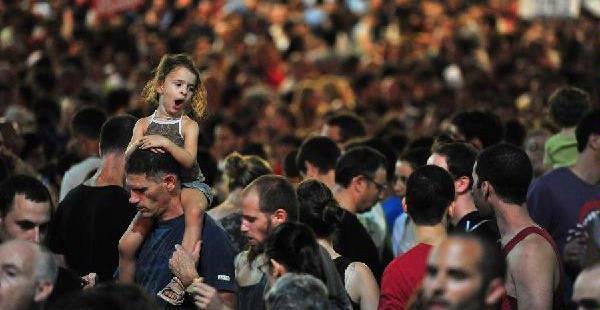 Approximately 200,000 people are estimated to be seen filled the streets in Tel Aviv, and the business centers of the country. They chanted demands for social justice for the community. The crowd-think this holding posters calling for the cabinet to resign. Protest tents that held hundreds of young men quickly spread to other cities, and developed into large demonstrations and coordinated with the demands of government policy toward the cost of living is high. In addition, the rally also highlighted the social problems of other communities, which include a number of complaints to spike the cost of housing, prices of basic foodstuffs, child care costs and gasoline tax. 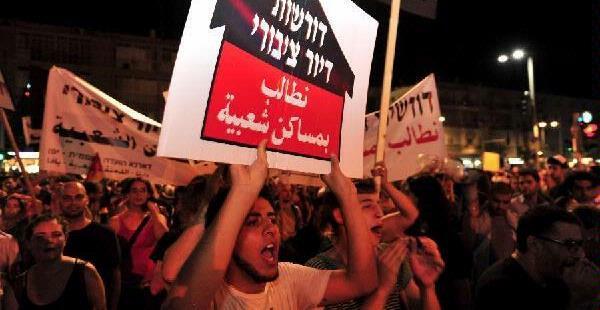 The protest was initially launched through the Facebook social networking nearly three weeks earlier, led mainly by middle-class Israelis, who are not satisfied with what they perceive as a gradual erosion of their economies. “This country should be able to take care of the people. The plan includes legislation that aim to break the cartel monopoly that happened today, so it increased the chance of market competition, and the government will make indirect tax cuts. Despite the popularity polls of Prime Minister Netanyahu continued to fall, he does not see demonstrations massive hit as a danger to the country’s coalition government. ~ by ickerz on 8 August 2011.